HARARE, Sep 9 2013 (IPS) - Tambudzai Javangwe from Mwenezi district in southern Zimbabwe, has run out of food and each day she begs for hand-outs from well-wishers so that she can feed herself an her six orphaned grandchildren. Javangwe, 66, had low maize yields this season, which she attributes to both a lack of farm necessities like fertiliser and seed, and inadequate rainfall during the farming season. “We had poor yields here this year and starvation is already biting hard on us and my orphaned grandchildren often go to school with empty stomachs,” Javangwe told IPS. She is one of the country’s two million people facing massive food shortages, thanks largely to the failure of President Robert Mugabe’s controversial land policies, according to local analysts and economists. In a statement on Sep. 2, the United Nations World Food Programme (WFP) projected a period of significant food shortages for 2014, as one in four of the rural population is expected to need food assistance. Political analyst Malvern Tigere said that the fact that Zimbabwe had run out food means that Mugabe’s controversial land reform programme, where over 300,000 people were resettled on land formerly owned by 4,000 white commercial farmers, has been a failure. “Mugabe’s unusual admission that Zimbabwe had run out of food during his election campaign testified to the failure of commercial agriculture in the country and truly contradicted claims from his ruling Zimbabwe African National Union Patriotic Front (Zanu-PF) party that agriculture had peaked after the seizure of commercial farms in 2000,” Tigere told IPS. Since the seizure of white-owned commercial farms, food production has decreased significantly in this southern African nation. A report released in July by the Zimbabwe National Statistics Agency titled “National Poverty Income Consumption and Expenditure Survey” stated that commercial farmers contributed a paltry 15,6 percent to the national grain reserve in 2012. It was a significant decrease compared to 1994, when they contributed more than 50 percent to the national reserve. Independent economist Michael Hamandishe said the Zanu-PF government was aware the country was bound to face food shortages by 2014 in the face of poor rainfall during the previous farming season, which lasted from October 2012 to February 2013. This, he said, was a problem that was compounded by poorly-equipped farmers. “The new Zanu-PF government saw this coming [starvation] because everybody saw the poor rains here that resulted in poor farm yields, which has also been a consequence of lack of farm inputs mostly to resettled farmers under the land reform programme,” he told IPS. “The Zimbabwean government could not adopt precautionary measures timeously to combat the looming starvation and considering that the same government we have today failed to improve the food situation in the country since independence in 1980, I see nothing new in terms of managing to combat the looming food shortages,” Hamandishe said. Gibson Nhari, an agricultural extension officer based in rural Guruve district in Mashonaland Central Province, 150 km outside Harare, attributed the looming food shortages to high costs of supplies such as fertiliser, and grain prices that rose 15 percent since 2012. The cost of ammonium nitrate fertiliser in Zimbabwe rose from 30 dollars in 2012 to 35 dollars this year, and Compound D fertiliser now costs 31 dollars as opposed to 26 dollars in 2012. “Small-scale farmers’ inability to purchase such inputs as chemicals, seeds and fertilisers has resulted to poor yields in the country, causing food shortages,” Nhari told IPS. 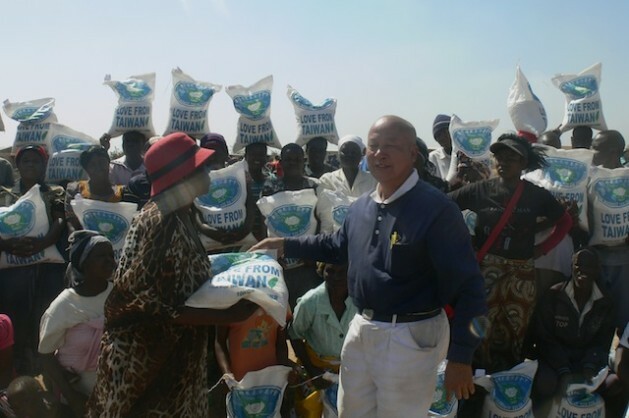 However, officials from the ruling Zanu-PF have blamed the food shortages on sanctions imposed by Western countries. In 2002 the European Union (EU) first imposed sanctions on Zimbabwe, including travel bans and freezing bank accounts of senior Zanu-PF officials and companies linked to Mugabe. The U.S. followed with sanctions on bilateral trade with Zimbabwe a year later. However, in March the EU suspended its sanctions against a number of officials and companies in Zimbabwe, though they remain in force on 10 people, including Mugabe, and two companies. The U.S. sanctions against Zimbabwe remain. “The land reform programme is a brainchild of Zanu-PF to empower local black Zimbabweans, but sanctions imposed on our country have impacted negatively on beneficiaries of the programme to effectively produce adequate yields. But I tell you we will soldier on with the use of our own resources,” Goodson Nguni, a Zanu-PF leader, told IPS. On Aug. 29, at Zimbabwe’s 2013 Agricultural Show, Mugabe promised to import 150,000 tonnes of maize from neighbouring Zambia, saying no Zimbabwean would die from hunger. But this will not be enough as the WFP says that Zimbabwe will require 2.2 million tonnes of maize next year.